release the post from the side effortlessly ! 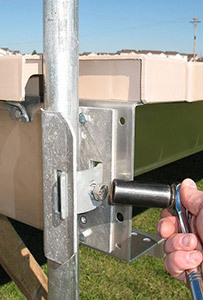 The Post Bracket Lug can be inserted two ways. 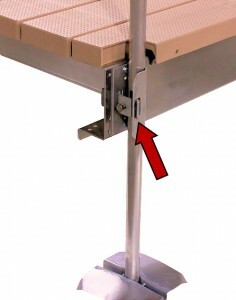 If you are connecting two sections together, you would stick the end with two holes in it towards the next section of dock. Then plug that tab into the next section of dock. 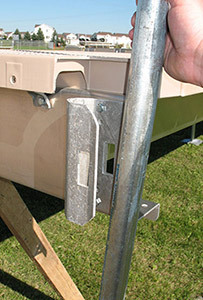 A snap ring should be inserted on both sides to secure the connection. 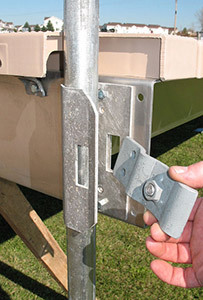 For the last section of dock, the lug would go in the opposite way so it won’t interfere with the boats.